If this is your first visit to our site, welcome! Please take a few minutes to look around. We have thousands of pages of detailed class notes and hundreds of hours of audio and video lessons. Thanks for visiting! Looking for Zechariah? 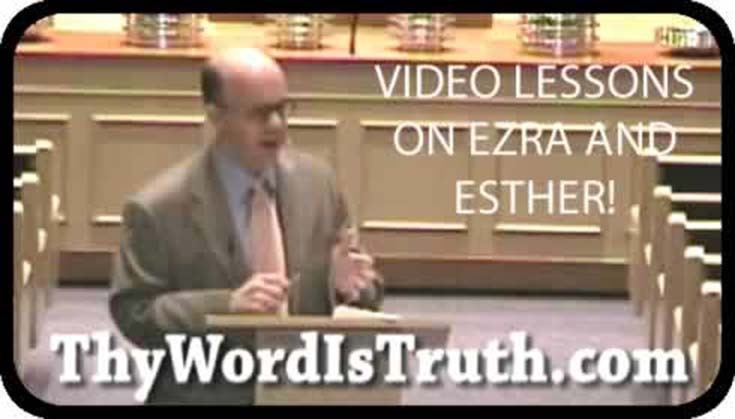 We have recently started a series of lessons on the oft-neglected book of Zechariah! Here is the class home page with audio copies of the lessons and class handouts. These lessons will be followed by a study of the book of Revelation. Please join us! Looking for Galatians? We have recently completed a Bible class on Galatians. Here is the class home page with audio and class notes for all 17 lessons. Enjoy! Looking for Sermons? You've come to the right place! We have hundreds of audio sermons, plus we have over a thousand written sermon outlines by Jess Hall, Sr. and Cecil Hutson. Looking for Bible Classes? Again, you've come to the right place! We have hundreds of classes (most with class notes, handouts, and audio) on Revelation, Daniel, Ezra, Esther, 1st Corinthians, 2nd Corinthians, Romans, Ezekiel, Job, Isaiah, 1st and 2nd Peter, James, Jude, and many more. We just posted two lessons on the English Bible with class notes, audio, and handouts. How did we get our Bible? Is the Bible reliable? Which version should I choose? We have also posted new lessons on Josephus, the Dead Sea Scrolls, and the Jewish Feasts. Questions about Revelation? Why was it written? When was it written? Who is the villain? Please read or listen to our series of 25 lessons on the book of Revelation. Questions about Daniel? Please listen to the series of 38 audio lessons on the book of Daniel. These lessons were taught at the Fleetwood church of Christ in Houston, Texas. What does the Bible say? He that believeth and is saved shall be baptized? Or he that believeth and is baptized shall be saved? (See Mark 16:16.) And what do you say? Questions about Baptism? Please read our special lesson on that vital topic, and read about God's Plan of Salvation. 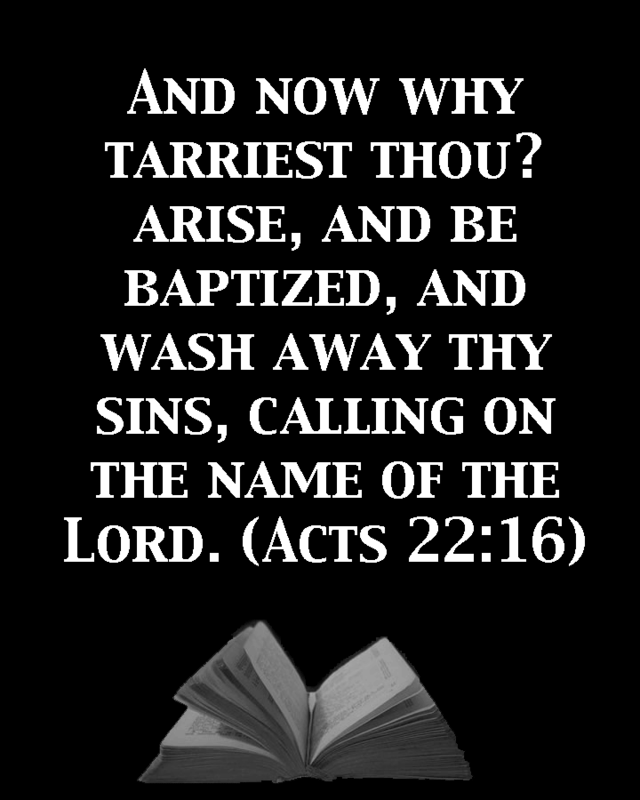 Please listen to these gospel sermons that explain why you need to be baptized for the remission of your sins: (1) The Salvation of Man by Eric Owens, (2) The Gospel of Naaman by Eric Hall, and (3) Baptism by N. B. Hardeman. There are only two verses in the Bible that tell you how to get "into Christ" -- Galatians 3:27 and Romans 6:3. What do they tell you about baptism? We just posted over 950 gospel sermon outlines and Bible class outlines by Jess Hall, Sr.
We just posted 13 lessons on Second Corinthians 1-3 on the Second Corinthians Class Home Page. We also just posted 9 new sermons and Bible classes to our main Audio Page. We have posted some new audio sermons: The Gospel of Naaman, Christian Counterculture, and Making Decisions. Also, we are continuing to post lessons on Daniel at our companion site: StudyDaniel.com. We have posted a series of lessons taught by Jess Hall on the book of Job. Here is the class home page. We have posted a devotional lesson on the cross of Christ and six lessons on First Corinthians on our new and improved audio page. Enjoy! We have posted a new audio lesson on Spiritual Focus. We just posted a new audio lesson: An Introduction to First Peter. 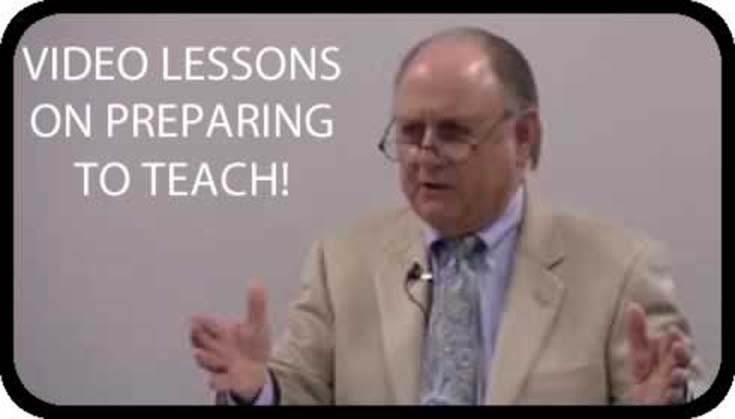 We just posted audio and written copies of Eric Hall's special lesson on the Kingdom of God: Audio Lesson on the Kingdom (MP3 format), Written Lesson on the Kingdom (PDF format), and Class Handout (PDF format). We just posted 15 new answers to questions submitted by our readers, bring the total number of questions answered to 431. New eBooks by Ed Wharton Available at Amazon.com: The Case for Historic Christianity, Redemption Is, Christ and the Church, The Church of Christ. Commentaries by Jim McGuiggan now available as eBooks: Revelation and Daniel. We just posted 4 video lessons on the book of Matthew: Introduction, Judas Iscariot, The Cross of Christ, and The Resurrection of Christ. We have posted a copy of the commencement address delivered by Eric Hall at Faulkner University on May 3, 2008. The address is also available in PDF format and MP3 format. We just posted 5 new gospel sermons by Jess Hall along with an introduction to the book of Daniel by Eric Hall. 52 GOSPEL SERMONS!! We have just posted 52 gospel sermons preached by Jess Hall between 1991 and 1998. They are in the MP3 format. Enjoy! NEW AUDIO SERMONS! We have just posted an MP3 copy of Jess Hall's sermon on The Certainty of the Promise and an MP3 copy of his sermon, Is There Any Word From God? We have also posted an MP3 copy of Eric Hall's sermon on Hope in the Promise, and an MP3 copy of his sermon, Lessons from Elijah. Also available is an MP3 Audio File of Eric Hall's Lecture "Hope in the Promise" from the 2009 Faulkner University Lectureship. Worried about false teachers? You can now read their top secret game plan in The Handbook for False Teachers. Professor Stafford North of Oklahoma Christian University has written an article about our site for his popular Good News Blog entitled "Thy Word Is Truth Website Attracts Thousands!" Thousands of pages of detailed class notes on a variety of Bible books and subjects. Hundreds of hours of audio lessons and sermons. Detailed lessons and handouts on Daniel and Revelation. A large collection of essays on preaching. Answers to hundreds of questions from our readers. A unique Bible reading plan. Special series of lessons on Thought Provoking Questions. Most importantly, you will find God's Plan of Salvation. A complete copy of the American Standard Version of the Bible. Our readers have submitted over 400 questions on a very wide variety of Bible subjects. Does God know beforehand the outcome of a coin flip? Must a Christian forgive those who do not repent? Is God a Democrat or a Republican? Is the Bible full of contradictions? Isn't baptism a work? What does the Bible say about lottery tickets? You can find answers to these and many other questions in our special series of lessons on Thought Provoking Questions. Topics included: Marriage & Divorce, Baptism, The Role of Women in the Church, End Times, Mormonism, Social Drinking & Gambling, Instrumental Music, The Lord's Church, Evolution & Intelligent Design, Forgiveness, the Holy Spirit, the Afterlife, Secular Humanism, Premillennialism and the Rapture, The Restoration Movement, Alleged Contradictions in the Bible, The Christian and the Law, Time and Chance, The New Hermeneutic, God and Politics, Jehovah's Witnesses, Islam, and Muhammad. You can also search for answers using our search page. Finally, we also have a page for Frequently Asked Questions. Are You Looking for Bible Class Material? Most daily Bible reading schedules have two problems. First, the daily readings are not balanced, with many readings taking three or four times longer than others to complete. Second, the daily readings offer little variety, with the New Testament being pushed to the very end of the year. The 52-Week, Balanced, Parallel Daily Bible Reading Plan offered here solves both problems. Click here to read more about it and download your own copy. Many of the lessons presented on this website include complete audio presentations of the class in which the lesson was originally presented. The lessons are in the MP3 format and may be played on any computer or portable MP3 player such as an iPod. At present there are over 250 such lessons, which (at 45 minutes per class) is nearly 200 hours of Bible classes! Classes with audio include Ezra & Esther, Isaiah, Revelation, Daniel, Thought Provoking Questions, First Corinthians, Second Corinthians, the Lord's Church, Romans, First & Second Peter, and Ezekiel (partial). Many audio sermons are also available. Many of our recent lessons are now also available as video lessons. 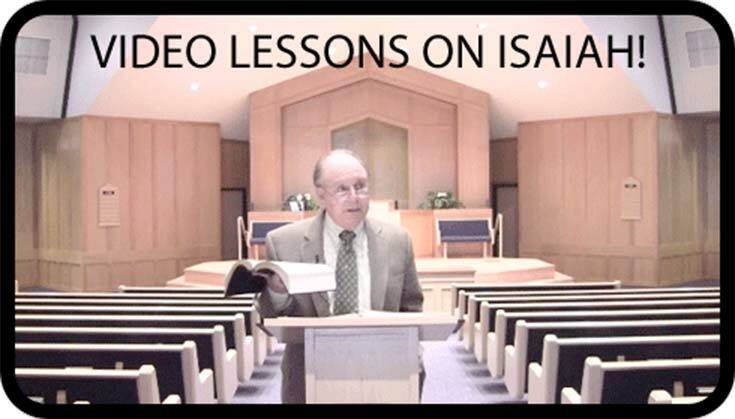 We have 25 video lessons on Isaiah, 12 video lessons on Ezra and Esther, 13 video lessons on Preparing to Teach the Bible, and 4 video lessons on Matthew. 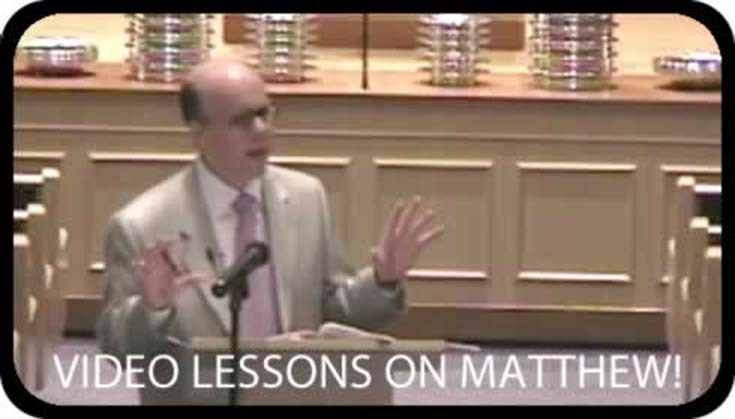 The video lessons on Matthew include: Introduction to Matthew, Judas Iscariot, The Cross of Christ, and The Resurrection of Christ.